WildDill.com is a lovely independent online shop that sells organic, eco-friendly and fair trade products for baby – and even a few lovely products for mom! To learn more about Wild Dill, visit their About Us page here! I took a look around the Wild Dill storefront, and they have some truly beautiful, unique items to choose from! I especially love the Blue Star Handpainted Brass Fair Trade Bangle and the Green Recycled Glass Teardrop Necklace, and pretty much ALL of the toddler clothes and toys! You really need to check out the HUGE selection of organic/bamboo fabric/fair trade items they have available! 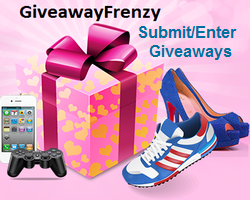 *Sep 29 – Oct 11th, US 18+ Only, this giveaway is not associated with Facebook, Twitter, or any other social media. The winner will have 72 hours to respond by e-mail to claim their prize or a new winner will be chosen. Disclosure: This blog was not compensated for this post and is not responsible for prize fulfillment. This entry was posted in Giveaways and tagged Babies, Giveaway, Jewelry, Kids, Organic by Tara.Bookmark the permalink. I absolutely LOVE the Olive & Pickles Organic Giraffe Rattle Toy!! My favorite baby item is the MEZOOME ORGANIC BUSY BEE BLANKET.